OLD PARKED CARS. 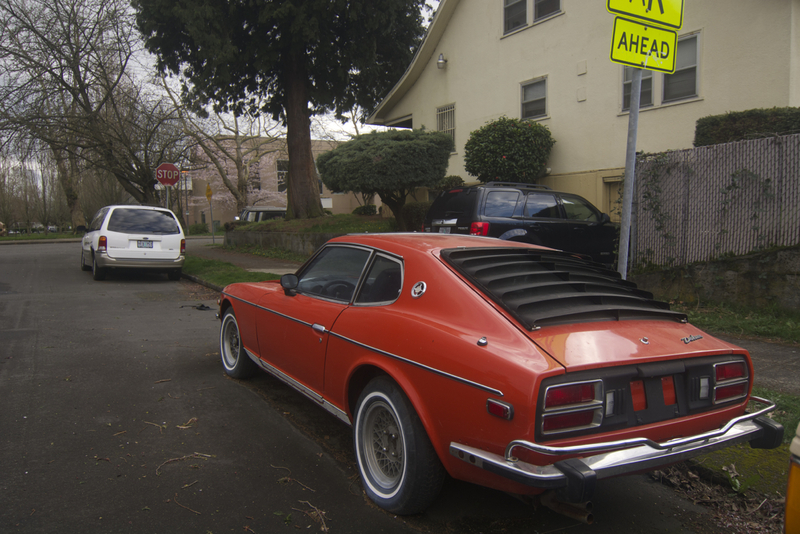 : 1974 Datsun 260z 2+2. Pretty sick opc z-car. Not messed with and not messed up. Is it red or burnt orange? This almost qualifies as a "malaise" car (even though it's not from those years), simply because of the way Datsun took the 240z and gradually made it ugly and strange. It makes me sad and oddly pleased at the same time. Those look like Appliance Wire Mags, albeit in a narrower/higher offset than I'm used to seeing on Z-cars. I have a much neater 14x7 +0 set taking up space in the garage. Maybe this guy wants them. Super cool and super rare. 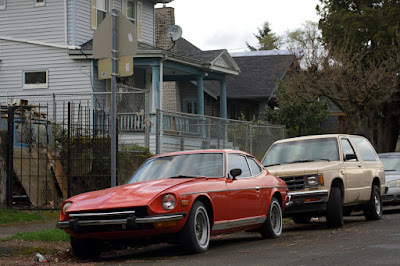 the 2+2 was only available a few months before the nader bumpers became mandatory and screwed up the Z-cars appearance forevermore. Where else but OPC would you even see one? Not crazy about the wheels but the rest is (to steal a line from later Z-car commercial) AWESOME! 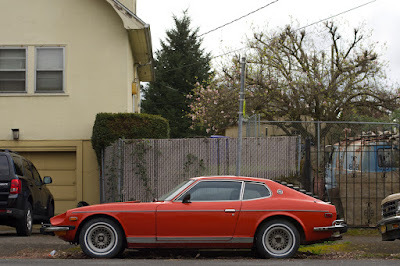 Those period correct aftermarket wire wheels (not sure of the brand) fit the Z, but the whitewalls make it look like hell.